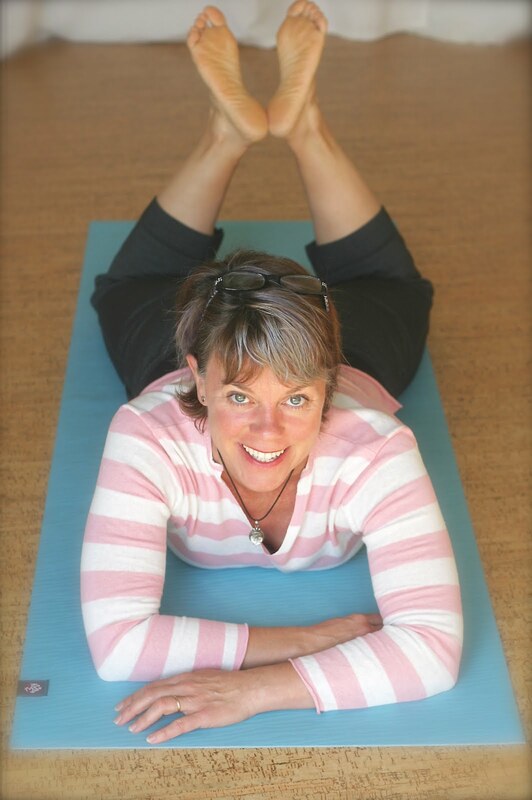 Think Somatics | Change for Good: Happy Anniversary, Take It Outside Fitness! Happy Anniversary, Take It Outside Fitness! When people ask me how I started Take It Outside Fitness I tell them this: Ten years ago I was working at a community center where I taught water aerobics and offered personal training. One day the manager frantically asked me to sub a Step Aerobics class. Who me? I don't teach Step! I said I'd be happy to come up with a circuit class as an alternative and she took it. The class participants were all friendly and enjoyed the format. So much so that three of them came up after class and wanted to know where else I taught this circuit format. I told I had been toying with the idea of starting outdoor circuit classes, they all gave me their contact info, said, "I'll come! Just tell me when and where!" and the rest is history. Anyhoo, that's how it all started. A gigantic thanks goes out to my husband, Corey, who has seen it all, listened to me babble on about the psoas muscle and programing ideas, plus built me the most rockin' studio around. I was thinking that since it's my Ten Year Anniversary, I should do a 10 for 10 offer, so here it is! Happy anniversary to you! Small print: Offer applies to regularly scheduled classes/sessions on the calendar. One coupon per person. If you are a current student, you can take advantage of this offer and active the discounted card when your current card expires. Otherwise, card expires 8 weeks from date of purchase. Other restrictions may apply that I haven't considered yet, because I'm rushing to post this ASAP. Offer expires at the end of May 2013, unless it's super popular and I run it a bit longer. 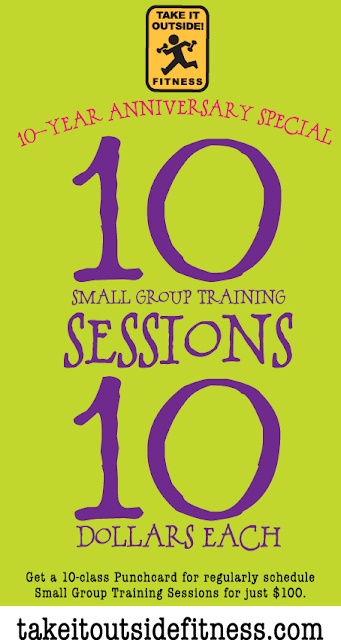 You never know, so don't just sit on this and wait, email me to get your 10-Small Group Session Punchcard for $100! Happy Anniversary TIOF! I LURRRRVE You!! Thanks, Kate. I lurrrve you too! Happy Anniversary K @ TIOF!!!! You deserve a GOLD MEDAL for starting and growing your business in what have been some tough economic times! I'm so glad you did. It has made a big difference in my life. Even if "they" say the economy is better, I still think people are feeling the pinch, so I hope this special helps people get started on taking better care of their health. It's a true investment if you ask me!